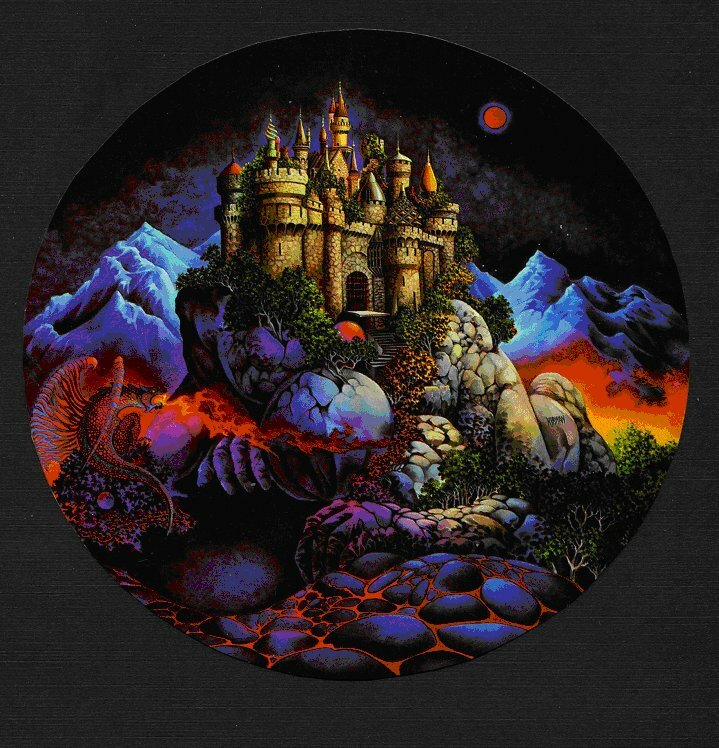 Back around 1992 I worked up an adventure locale for my players to work on after they had completed the Mask of Power campaign (a name for it that I only just now invented.) I never considered the term 'campaign' to include the idea of rolling up new characters or playing in a new setting. It was just The New Thing for whenever they got done with The Old Thing. Well, I moved away, as did some of my players, before we got to finish The Old Thing, so this locale was never visited. It's still there in my milieu though. Somewhere. Waiting. Here, in much-vaunted bullet point style, are the main things about Castle Kirwan. Located in a different world than Anglia/Nicodemus, but accessible from there via Ancient Morvalian gateway. The normal animals of the world, such as mammals, reptiles, etc., are all hexupeds as opposed to our common Earthly quadrupeds. The world is loosely based on Klah from the first two or three Robert Asprin Myth books. Other than humans, all the monsters in this world are from the Fiend Folio. However, not every monster in the FF is present in the world. The most common bad-guy species is norkers. Castle Kirwan itself is exactly as seen here, above to the right. 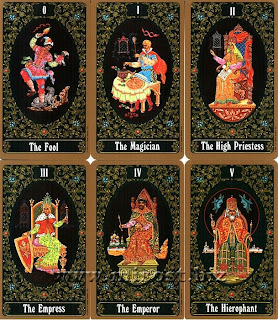 The noble family in residence are unwitting shadows of the Royal Family of Amber from the Zelazny novels. The environs of the castle have a distinct Russian feel. A massive war roughly two generations ago left behind huge battlefields where the skeletons of the dead lie beneath the surface. Cue high-level Animate Dead spell. Seventh Son of a Seventh Son by Iron Maiden. NPCs include The Veteran of a Thousand Psychic Wars and his faithful manservant Igor. 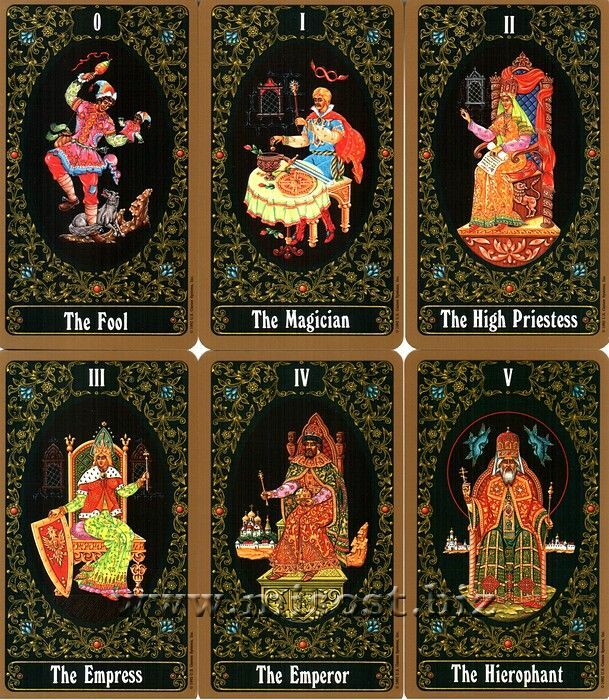 The Russian Tarot, as shown below. One of the influences for coming up with all this was my love of piroshkis back then. Specifically Igor's frozen piroshkis, which is all I could get where I lived, but they were awesome. I can't find them now. All I can find are these damn hot pocket things, which pale horribly in comparison. Anyway, you can get piroshkis in the environs of Castle Kirwan. Dammit. I've got to find that portal. At first I thought "was that some Russian sleeping for perogies." Then I looked it up and found out otherwise. They look delicious though. I think the determining factor for piroshkis is that before freezing they were fried. Maybe even deep-fried. Which is probably why they didn't survive the 90s.